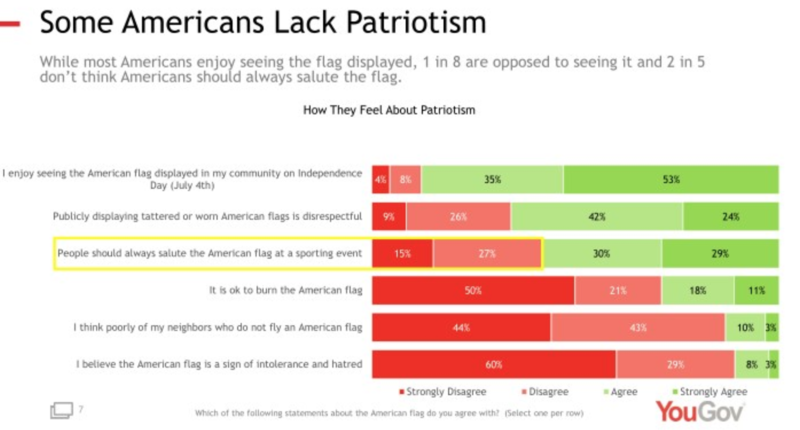 The poll, titled "State of American Patriotism", was commissioned by the�Foundation for Liberty and American Greatness (FLAG), a non-profit�Patriot group that says it is committed to "educating Americans about the values and principles that make our nation exceptional.�"
Among other startling findings, the survey reveals that four in ten millenials say it is OK to burn the US flag, with one fifth saying they see it as "a sign of intolerance and hatred." 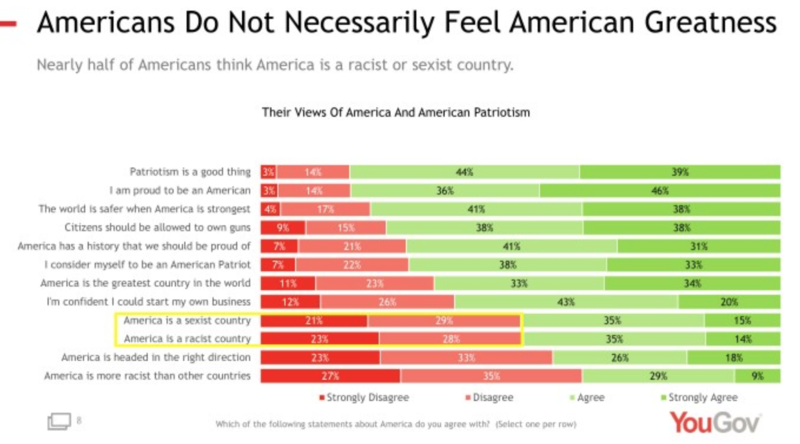 The survey also found that HALF of all Americans believe the United States is sexist and racist, with 38 percent of younger Americans disagreeing that "America has a history that we should be proud of." 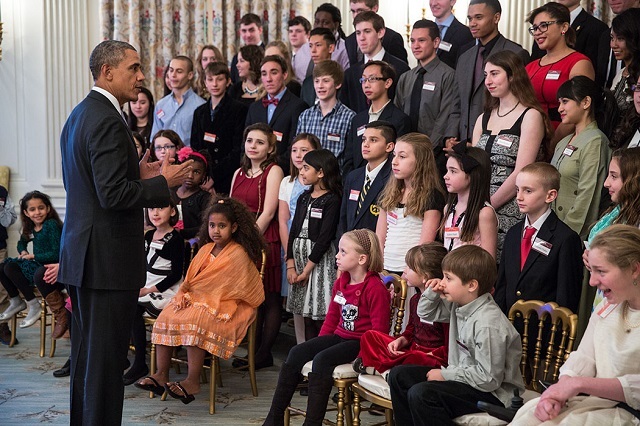 In addition, 44 percent of younger Americans believe President Obama had a "bigger impact" on America than George Washington. 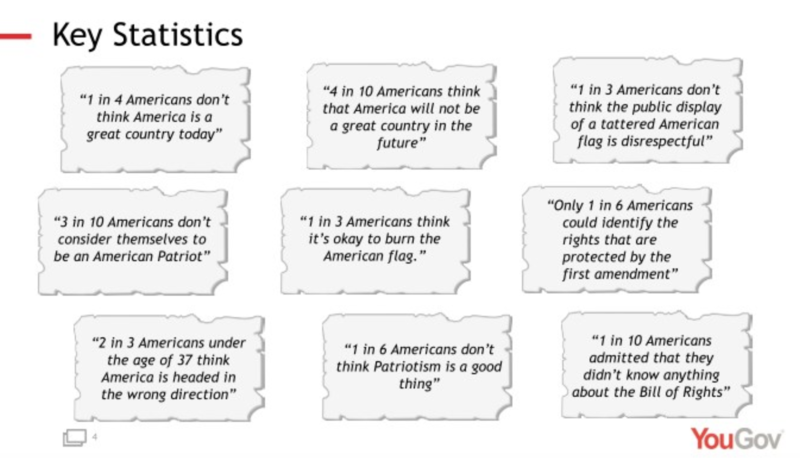 Nick Adams, founder of FLAG, commented "We suspected that we would find decreasing numbers of Americans well-versed in our nation's most important principles and young people less patriotic than the generations that came before, but we were totally unprepared for what our national survey reveals: an epidemic of anti-Americanism." "That half of millenials and Gen Z believe that the country in which they live is both 'racist' and 'sexist' shows that we have a major fraction of an entire generation that has been indoctrinated by teachers starting in grade school that America is what's wrong with the world."